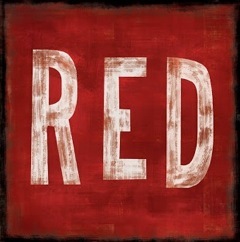 RED, a play by American writer John Logan, was first produced by the Donmar Warehouse, London in 2009. It was the 2010 Tony Award winner for Best Play on Broadway. The reading is directed by Bernie Kukoff, a TCS member, and stars Robert Zukerman (also a TCS member) and Christopher Liberati-Conant. After the performance the actors and director will join TCS member Christopher Rothko, Mark Rothko’s son, for a Q&A followed by a dessert reception. Master abstract expressionist Mark Rothko has just landed the biggest commission in the history of modern art, a series of murals for New York’s famous Four Seasons restaurant. In the two fascinating years that follow, Rothko works feverishly with his young assistant, Ken, in his studio on the Bowery. But when Ken gains the confidence to challenge him, Rothko faces the possibility that his crowning achievement could also become his undoing. Raw and provocative, RED is a searing portrait of an artist’s ambition and vulnerability as he tries to create a definitive work for a extraordinary setting.